Six months after making that statement in a podium talk at the Czechoslovak Radiological Congress (CRC), Dr. Dotter followed through on it. "The angiographic catheter can be more than a tool for passive means of diagnostic observation; used with imagination, it can become an important surgical instrument." On January 16, 1964, Dr. Dotter used a wire guide and coaxial catheter pair to dilate a clogged leg artery in an 82-year-old woman with leg pain and an infected foot. Surgeons had told the patient that amputation was the only option. After the procedure, she walked out of the hospital on both legs and was independently mobile for the remaining two and a half years of her life. It was the world’s first successful percutaneous transluminal angioplasty. 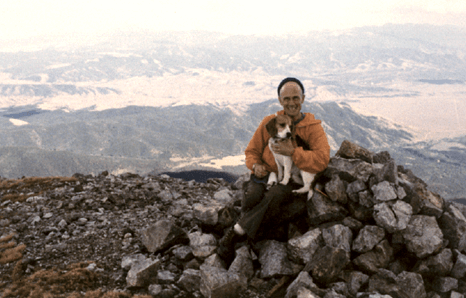 As adventurous in his personal life as he was in his pursuit of better treatments, Dr. Dotter climbed all the mountain peaks over 14,000 feet in the continental U.S.
Outside the hospital, Charles Dotter was just about as dynamic and active as a human can be. He brought many friends (and always his dogs) along on his outdoor adventures, building bonds that lasted his lifetime. Dr. Dotter was an artist, a pilot, a writer, and a showman in a crowd. He infected those around him with a zest for living and experiencing new ideas and new surroundings. Established in 1990, four years after Dr. Dotter’s death, The Dotter Interventional Institute offers education, research, and patient care. The Institute was groundbreaking in creating an interdisciplinary learning environment. Interventional radiologists, cardiologists, and specialists in vascular surgery, urology, gastroenterology, pulmonology, and gynecology all work together in developing new, less-invasive ways to treat patient conditions of all kinds. 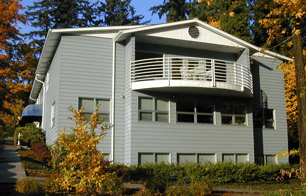 The Institute is currently led by Dr. John Kaufman and operates as an independent division of the Oregon Health & Science University School of Medicine. 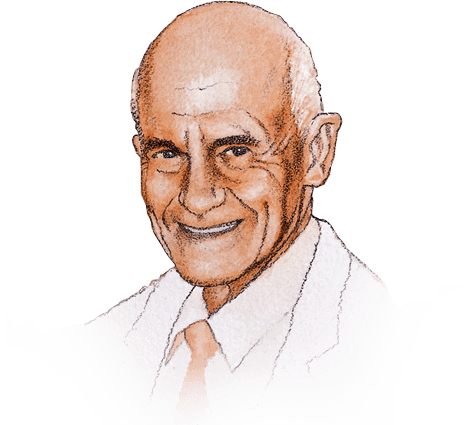 The founding director, Dr. Josef Rösch, worked with Dr. Dotter for many years. Before his death last year, Dr.Rösch was actively involved in the Institute.